Some pets behave anxiously in response to fireworks. Humans can expect to hear them around the fourth of July in the United States, but pets cannot understand dates and holidays and when to expect fireworks. We humans have dogs beat when it comes to detecting and differentiating between colors. 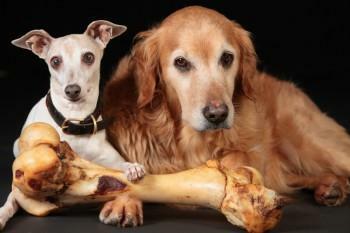 In almost every other way, though, dogs’ senses are more acute than ours. Dogs can hear pitches that are outside the range of what hearing people are able to detect. Since a dog’s sensory experiences are more intense, fireworks are understandably frightening. Animals are pre-wired to respond to danger. The “fight-or-flight response” (sometimes called the “fight-flight-or-freeze response”) causes a rush of adrenaline and stress hormones, an increase in heart rate, hyper-vigilance, and behavior changes to match. Some pets may bark, hide, run, and some may be frozen in fear. When this pre-wired response kicks in, even dogs who are housebroken may suddenly have unwanted behaviors they do not normally display. Try to reassure and calm your dog to lessen this response. Some pets are terrified of thunderstorms, while others are completely unbothered. The barometric pressure changes and cloudiness can provide clues of an impending storm, allowing your pet to anticipate thunder. Fireworks have no such warning signs, which could be disorienting and frightening for your pet. Classical Conditioning efforts may help to reduce the stress of fireworks, but this process can take months, and not all dogs will be equally responsive. 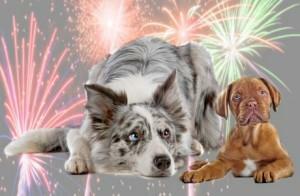 Play recorded fireworks sounds for your pet at a very low volume and reinforce calm behavior with praise or treats. Gradually increase the volume of the recording from session to session so that the fireworks are not intimidating and your pet becomes accustomed to behaving appropriately in the presence of fireworks sounds. You might even condition your dog to salivate at the sound of fireworks! Pets may have different spaces they feel safe in. A crate-trained pet may feel safest in their crate with a chew toy. Others may feel safer in a bed. Treats and toys may be able to provide a positive association with fireworks. Gentle music may provide a calming distraction. It’s also critical that everyone in the house remain calm around the pet. Everyone gets nervous, even pets. If your pet’s reaction is more extreme and destructive, you should talk to your veterinarian about it. 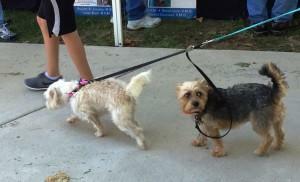 Bring your pet to our animal hospital to see if they need anti-anxiety medication in conjunction with the above steps. 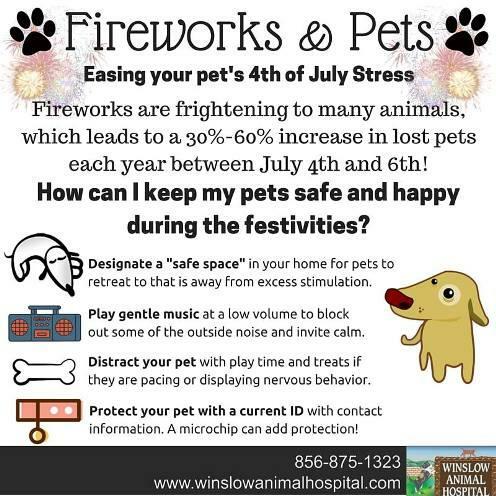 winslowadmin | Tips, What's New at Winslow Animal Hospital!